We have an opportunity to observe Troop 222 of Menlo Park and learn about fire building techniques. This also helps count towards the outdoor requirements for the Arrow of Light. November 5th (Wednesday) at 7:30 at Fire Station 1 on Middlefield Road in Menlo Park, just North of Willow Road. Meetings usually run from 7:30 to 9:00. Respond back to Ian McAlexander if you plan to attend – we need to give them an idea of attendance numbers. Pack meetings start at 6:30pm at Elk’s Lodge,938 Wilmington Way, Redwood City. By now, your boys are accumulating patches. There’s the Pinewood Derby Patch, the One Warm Coat, and the Cub-ON patches to come. But, what to do with them? These patches are not part of the official Cub Scout uniform and should not be sewn onto the uniform shirt. Instead, patches are to be sewn onto another garment. Most Packs have boys sew them onto red vests, but our Pack has boys purchase red or blue hooded sweatshirts, and the patches are sewn onto them. The traditional Cub Scout color is red, but not all schools in Redwood City allow students to wear red, so some dens have dark blue sweatshirts. The boys have voted…new Class B uniform design has been chosen! Remember that Scouts are supposed to wear a uniform at ALL Scouting events – including service projects and field trips. The BSA requires uniforms because they help to create a sense of belonging. They symbolize character development, citizenship training, and personal fitness. Wearing a uniform gives youth and adult members a sense of identification and commitment. In addition, uniforms represent a democratic idea of equality, bringing people of different backgrounds together in the Scouting tradition. But, sometimes hats, scarves, slides and beads don’t quite fit the activity or the venue. That’s when Scouts wear their Class-B uniform -> their Pack 991 t-shirt. At the last Pack Meeting, the Scouts voted 2 to 1 for this great design representing all the ranks. All Scouts who have paid their 2013-2014 registration will receive their t-shirt at the Pack Picnic on June 2nd. Boys should wear their old shirts to the Cub-ON on May 17-19. Pinewood Derby District Finals at Hillsdale Mall! Come to Hillsdale Mall this Saturday to watch Pack 991’s 10 entries race in the Redwood District’s Pinewood Derby district finals! They will race on an official track in the mall’s center court. Bring a friend who might be interested in Scouting! The first 25 boys to sign up for Cub Scouts at this event will receive a free Pinewood Derby car kit. We hope all our scouts are working on their Pinewood Derby cars. We will have two check-in dates. Please drop off your car at one of the check-ins. The cars will be held by Pack 991 Pinewood Derby Coordinators and returned after the race, except those cars that qualify for the District Final event. Please read the rules to make sure your car meets the basic requirements. There will be some tools to make adjustments to the cars at least at the first check-in. If you do not have a scale you can take your car to the post office and they are usually happy to weigh it for you. The check-in times are March 9 and March 16 from 9am to noon. Locations will be at two of our member homes and will be sent to you by email. The Scout Store at the Foster City Scout Office has a track available for test-runs on Saturdays! The Pinewood Derby Race Schedule is now available. All Scouts of the same rank will race together, with trophies awarded to the top 3 and all boys earning a patch for participation. If your Scout is NOT planning on creating a car, please notify your Den Leader. Younger Scouts may enjoy watching the advancement of the Webelos II to Boy Scouting and Boy Scout Troop 149 is expected to be selling food at the event as a fundraiser. On April 20, Pack 991 has been invited to join CityTrees in planting trees for Earth Day. CityTrees needs 20 Scouts and 10 Adults to help from 9:00-12:00. We’ll meet at Henry Ford Elementary and plant along Kentucky and Carolinas in the Woodside Plaza area. Wear your Cub Scout Uniform and bring a re-usable water bottle. Participation fulfills one of the requirements for the Cub Scout Outdoor Activity Award, Cub Scout World Conservation Award, Bear Achievements, and Wolf Achievements, as well as others. Have you been to a Cub-ON? Have you been to a Cub-ON lately? If you haven’t, you’ve been miss­ing out. Cub-ONs are Cub Scout OverNights and are opportunities for Scouts and their families to en­joy the Cutter Scout Reservation. It’s a great way to meet other Scouting fam­ilies and to get to know the families in your Den and Pack better. Food and plenty of entertainment is provided. You bring your own sleeping bag and tent, and adults volunteer in the kitchen and with the activities. Activities include bb-guns, archery, leather­working, crafts, canoeing, fishing (bring your own rod for catch-and-release fishing), and hiking. Each Cub-ON also has opportu­nities for boys to earn Belt Loops, as well as their whittling chip. In fact, it is the only place that boys can earn their Archery or BB-gun belt loops (other than summer camp). There are special activities for Webelos Scouts, too. Capping off a day of fun activi­ties is the big Campfire with skits and songs that will have your boys giggling – and you, too. To be honest though, although there are many fun activities, the boys seem to mostly enjoy build­ing forts, finding the ultimate stick, and counting banana slugs. You’ll want to make sure they are wearing their Pack 991 class-b t-shirts as they explore the woods around camp. Boy and Girl Scouts of all ages are invited to visit the Hiller Aviation Museum on Scout Saturdays! On these dates, Scouts and Scout leaders in uniform will be admitted to the Hiller Aviation Museum at no charge. Explore the Museum’s collection of some 50 historic aircraft, observe airport operations at busy San Carlos Airport, and find out more about Badge and Patch programs held at the Museum throughout the year. Complimentary admission is available to Scouts all day on Scout Saturdays, but special speakers and activities are offered at specific times. Pack 991 is hitting the road and traveling to Belmont Iceland in Belmont for our next Pack meeting! In honor of this special event, the Pack meeting will be held on Friday, January 4th, starting at 6:30, as usual. 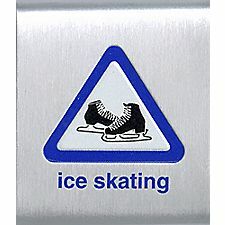 Boys will get a good start on their ice skating loop or pin. The Pack will pay the rental fees for the Scouts, and parents, siblings, and other visitors are welcome to attend (cost will be $5.00, including rental). Please be on the lookout for an Evite coming to your mailbox soon. We need to know how many intrepid skaters to expect! As a Pack, the boys decided that one thing they wanted to do with some of the popcorn money was to help the less fortunate. So, Pack 991 adopted 4 senior citizens through Samaritan House in San Mateo. Our seniors, Carmen, Mary, Adrienne, and Candy had simple requests: slippers and pajamas, a couple of pies, a gift card to Safeway, a toaster, and a pair of walking shoes. Delivery times are below. Please contact the lead parent if you would like to help deliver. Welcome The Melt and Help our School Kids! A new restaurant called The Melt is opening in town on Sunday and 100% of the proceeds that day go to the Redwood City Education Foundation who’s mission is to support the Redwood City Elementary School District. We have another exciting Pack Meeting in store for us on December 13th at 6:30. Den 4 will be leading the Pre- Activities starting at 6:15, they will also be in charge of conducting the Flag Ceremony. CORE VALUES – Our Core Values for the December Meeting; Perseverance and Positive Attitude. These will fit well with our main activity for the evening; “Minute to Win It”. Each Den Leader has been assigned a station for the main part of the program. They will be reaching out to you for volunteers to help with their station. Please jump at the opportunity to volunteer. It takes all of us to help the Pack go. Did you know we have a Lost and Found? With more than 60 boys at our pack meetings it is inevitable that things get misplaced, accidentally picked up by someone else, or left behind. You can reduce the potential frustration and make it easier to return items if you mark them where possible with your scouts name. Pack 991 is collecting clean, gently used coats and jackets as part of the One Warm Coat community service project. Coats of all shapes sizes are welcome. One Warm Coat is dedicated to distributing reusable coats, free of charge, directly to local children and adults. The program is an easy way for you and your family to pass along coats and jackets that you no longer need. Pack 991 has made donating a coat simple. Just bring your clean, gently used coats and jackets to the Holiday Party, Thursday, December 13. All donated coats will be given to the Shelter Network Redwood Family House Program which is committed to providing housing and support services that create opportunities for homeless families and individuals to re-establish self-sufficiency and to return to permanent homes of their own. Each scout that brings a coat will receive a patch and feel like they are helping someone in need! Any questions please contact Stephanie Drolapas or Kathi Black.